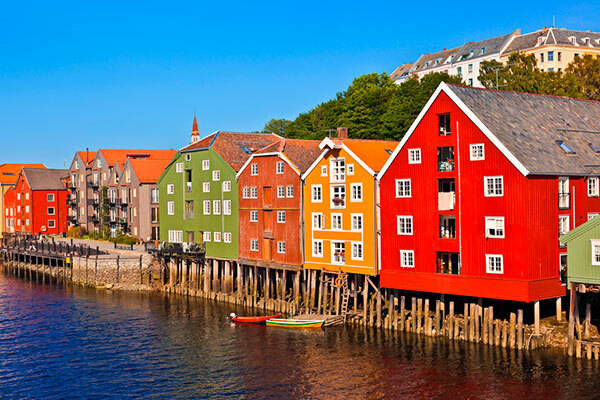 Join us for a tour of Norway – a land of scenic and cultural wonders with so much to experience and enjoy. 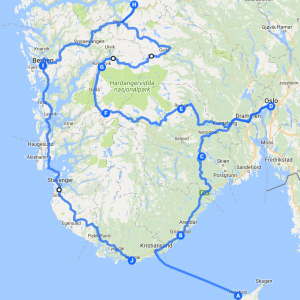 This tour will take you to the cities of Oslo and Bergen, to the pristine landscapes of Norway’s dramatic coastline and takes in many beautiful scenic drives en route; be captivated by all the wonderful views and Fjords that make Norway such an attractive destination. 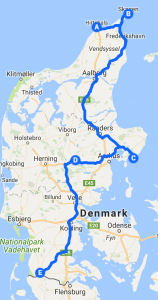 The start of our tour is Hirsthals in the north of Denmark from where we take the ferry to Kristiansand, the largest city on Norway’s southern coast. It’s along this coast many Norwegians spend their Summer Holidays in the area of Grimstad, known for its lovely white painted wooden buildings, narrow streets and Arendal where the film “Frozen” was based upon. If you are familiar with the film ‘The Heroes of Telemark’ and the spectacular setting of Rjukan you will picture the location, here we also visit the Industrial Workers Museum and follow in the footsteps of the saboteurs. 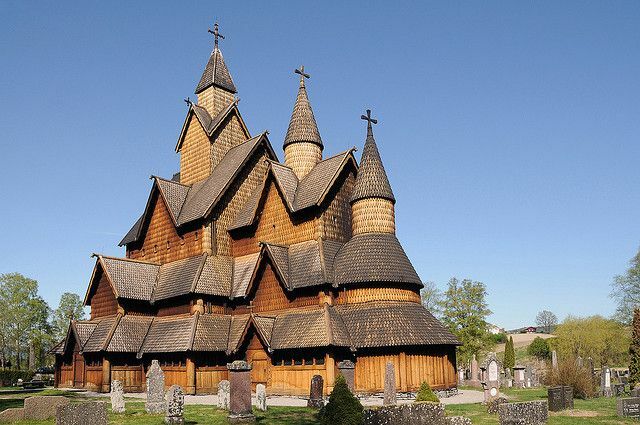 We spend time in Oslo – the capital of Norway. Oslo sitting at the head of Oslo-fjord is known as a city of green spaces, museums & sculpture parks. With the light nights being this far north in summer (darkness will come around 11:30pm) there is plenty of time for exploring the outdoor areas of this wonderful capital city. Bergen is Norway’s second city and another picturesque area, surrounded by mountains and fjords, including Sognefjord, the country’s longest and deepest. It’s within Bergen you will find Bryggen which features the wooden houses on the old wharf and also the Fløibanen Funicular going up Fløyen Mountain for spectacular panoramic views. 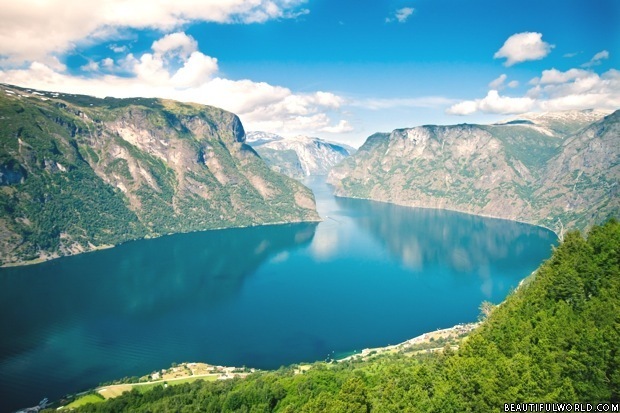 Of course, any tour of Norway would not be complete without a visit to Flåm, an area famed for the most beautiful fjords. It sits at the end of Aurlandsfjord, a branch of the vast Sognefjord and its here the dramatic Stegastein viewing platform juts out high above. 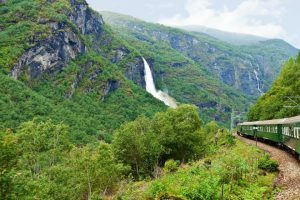 Then a real highlight of Norway is the dramatic Flåm Railway where we journey by train, passing numerous valleys, waterfalls and spectacular views to climb to the Hardangervidda plateau. Join us for a wonderful adventure in one of Europe’s most picturesque countries at a special time of year to be travelling this far north. 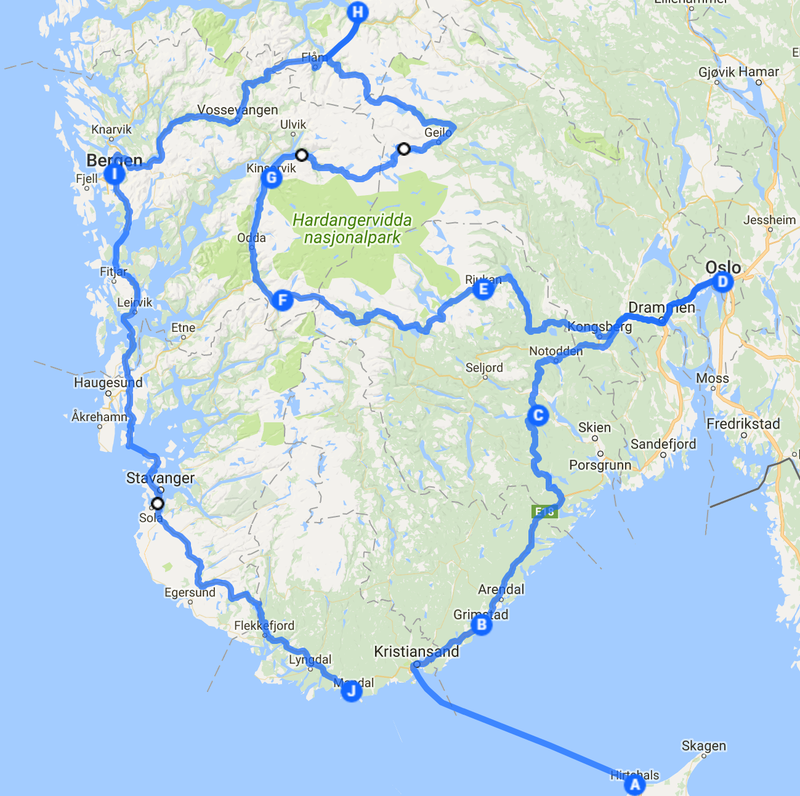 Today we take a boat from near our campsite via Nærøyfjord to Gudvangen, where a shuttle bus will take us to Flåm ready for a journey on the world famous Flåm Railway, all the way to the high mountain station of Myrdal. Following a picnic lunch of local foods, we return to Flåm by train where our bus awaits to return us to Lærdal Camping via the scenic “Old Snow Road”. Free day. Our campsite is situated adjacent to the cliff top path. Take a walk into the interesting town with its art deco architecture and a fascinating harbour and a connection to Marilyn Monroe! 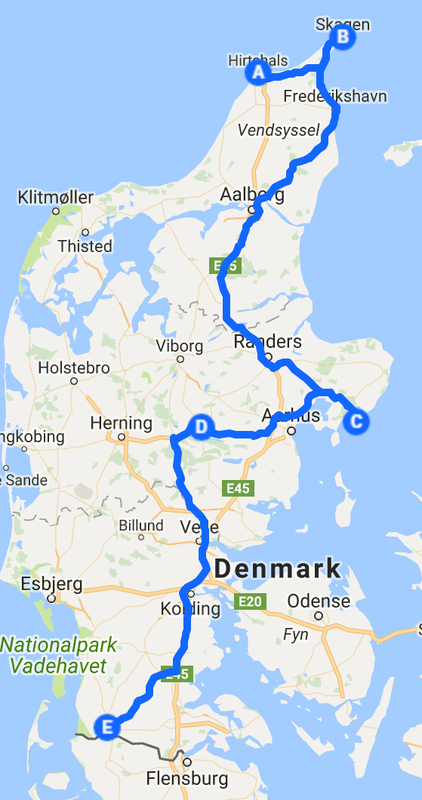 Howerver, no need to go home just yet as we have put together an add-on to the tour for a further seven nights of exploration in northern Denmark. 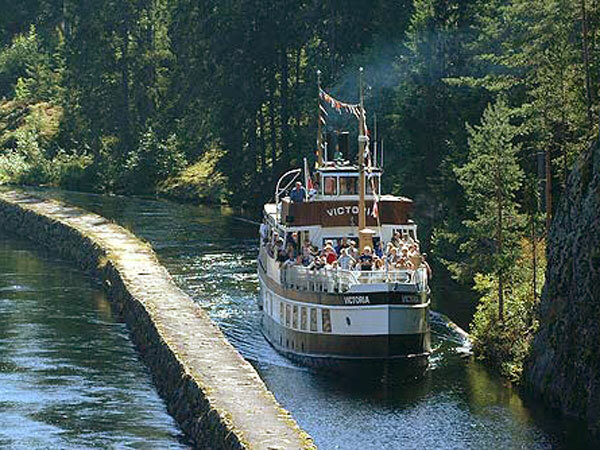 Accompanied by our Tour Directors, enjoy a number of included interesting visits and quality group meals as we make our way south, back towards mainland Europe in a relaxed manner. Full details follow on the next page after the optional travel from the UK with Tour Directors package. 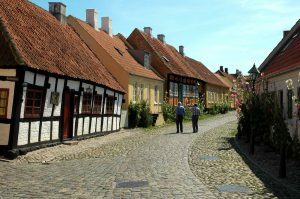 Extend your stay with the following add-on to the Southern Norway tour for a further seven nights of exploration in northern Denmark. Accompanied by our Tour Directors enjoy a number of included interesting visits and quality group meals, all in a relaxed manner as we travel south towards mainland Europe. A morning visit to the local Brewery (approx. 30 mins. walk) for a tour and tasting, followed by lunch. Afternoon free to explore the local area in your own time. 15 minutes walk today takes us to the stunning Glass Museum and Boat Museum where we have visits arranged. Later we take a leisurely lunch/dinner in a local restaurant. A 20 minute walk today to the Silkeborg Musuem where we visit the world’s best-preserved “peat bog”man. Our tour ends this morning from where it is just a short hop into Germany.